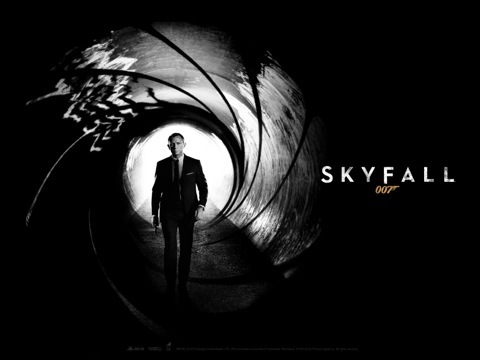 On Saturday April 9th 2016 at the KEC The Chatteris Community Cinema hosted an early supper followed by a screening of Spectre, the latest James Bond film. 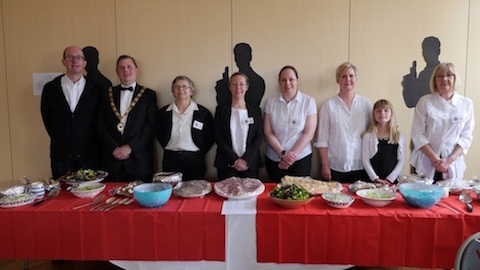 The first course was served from a buffet table laden with cold meats, poached salmon and a large variety of salads. followed by Pavlova , Summer Pudding, Peach and sponge tart Cheese and biscuits. The price for the whole evening was just £10 and included wine. Some kind comments Mike Royce Heather, Please accept our thanks for last evening which was very successful and entertaining. You and your committee must be congratulated on organising such a great meal. Marilyn Wedgbury Just want to say thank you for what an enjoyable evening it was last night. The supper was beautifully presented and the buffet was sumptuous! Thank you all. Mike Smith Well done everyone, I was very impressed with the quality of not just the food but the way the event was professionally hosted. In September 2012, the Cinema was in danger of closing. However, during that month, a heart-warming, 18 people came forward to offer their help. Of these people, 3 were from the founding group of volunteers and their experience and help were invaluable. A year later, there are 22 volunteers offering their services. Only one person has resigned and their role was immediately filled. 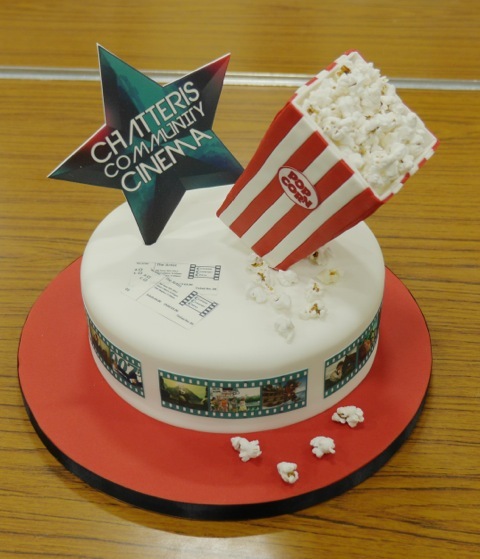 Chatteris Community Cinema are proud to announce that they have over 20 new committee members to help run the Award Winning Cinema. Chatteris Community Cinema would like to take this opportunity to thank all the previous volunteers, especially the founder members. They have been very supportive of the new team, in particular, the previous Chairman and Treasurer , Bill and Ruth Haggata. Without their help, support and experience it would have been a much more daunting task to start afresh. In fact, without them the Cinema would never have opened. We hope the Community will join the Cinema Volunteers in giving them a big THANK YOU. We have big shoes to fill but we will do our best and try to continue their great work. The new team hopes that the community will continue to give the Community Cinema their support. On behalf of Chatteris Community Cinema, Tina Prior. Tina, thank you for your kind comments regarding Chatteris Community Cinema, they are noted and very much appreciated. Thanks must also go to the original group of 14 volunteers in taking the initiative and setting up the Cinema for the Chatteris Community. A project like this cannot be operated by just 1 or 2 people and without the support of all the volunteers involved, cannot survive. I should also like to thank all the sponsors and the King Edward Trustees who without their support the Cinema would not have been able to operate. The volunteers also gained 2 awards from The British Federation of Film Society at the film society of the year awards 2011. Many thanks also, to the many people that showed support in attending the many performances, which amounted to over 40 film screenings in a period of 2 years and many full houses. Tina, good luck and success to you and the new volunteers for the future of Chatteris. Bill Haggata. Chatteris Community Cinema has entered for two awards in the Film Society of the Year Awards 2011 held at the annual British Federation of Film Societies national conference in London. The BFFS National Conference is the only national event dedicated to the needs and interests of film societies and not-for-profit community cinemas. It is the annual opportunity to get together, share ideas and celebrate community exhibition. The awards were be held on the Saturday 17 September 2011 Chatteris Community Cinema are very proud to be shortlisted in two categories, Best Marketing & Publicity and Best New Film Society. 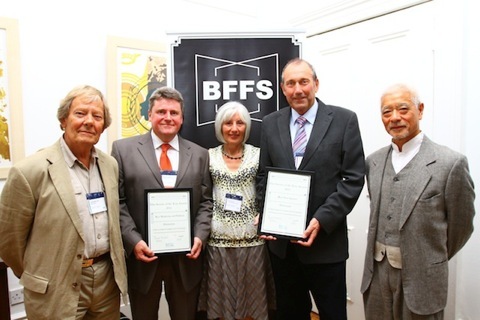 Chatteris Community Cinema has won two distinctions at the BFFS Film Society of the Year Awards.